Are you looking for a natural way to improve your skin? 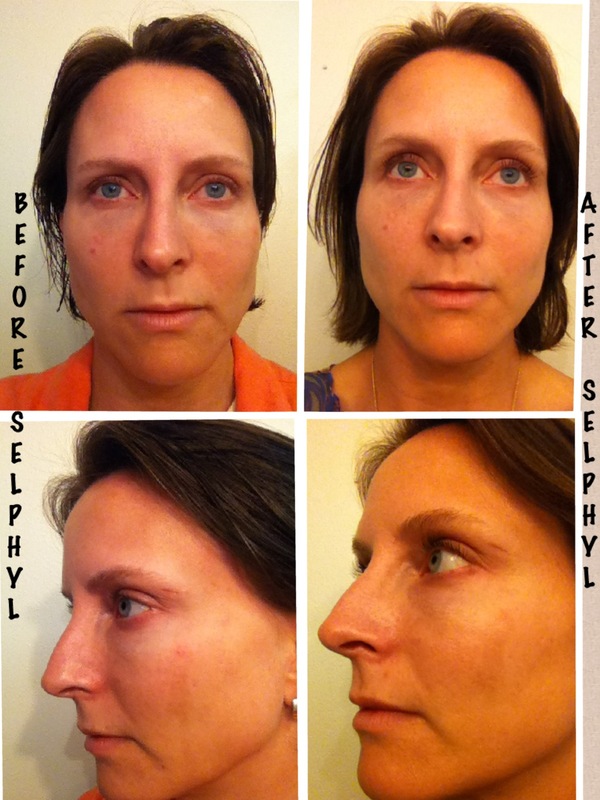 Selphyl is a great solution, because it comes from you! Selphyl injections utilize your own platelets and plasma obtained from a simple blood draw in the clinic. The fluid is quickly processed into a fibrin rich matrix and when injected into the skin, will add volume and ultimately produce more collagen, strength, resilience and a youthful glow. Problem areas of dryness, acne scars, lines, wrinkles or sunken areas are rejuvenated in a 20-30minute office procedure with minimal downtime. Generally a second procedure is done (at a discount!) in 3-8 weeks to give optimal results. Look at this video for an example of what Selphyl can do. Then, go to the appointments page by clicking here or at CBSkinSecrets .com to set your appointment and prepare to enhance your appearance. Look over pre and post injection instructions before your visit on the patient resources page or by clicking here. I have benefitted from this anti-aging technique myself! I see improvement in the dark circles and hollowness under my eyes, softening of odd contours of my temples and forehead, and fuller cheeks with diminishment of nasolabial folds and marrionette areas. My skin just looks and feels softer and fresh, see for yourself in my before and after photo below. This entry was posted on July 21, 2012, in Injectables, Skincare, Uncategorized and tagged anti-aging, council bluffs, face lift, Hamburg, Harlan, injectable, iowa, nebraska, omaha, Red Oak, rejuvenation, Selphyl, skin, southwest, Treynor, vampire. Bookmark the permalink. ← Happy 4th of July Savings!